“Human rights claim” has the meaning given in section 113(1) of the 2002 Act. (1) Subject to the following paragraphs of this regulation, a person may appeal under these Regulations against an EEA decision. (2) If a person claims to be an EEA national, he may not appeal under these Regulations unless he produces a valid national identity card or passport issued by an EEA State. (b)sufficient evidence to satisfy the Secretary of State that he is in a relationship with that EEA national. (iii)in the case of a person claiming to be a family member who has retained the right of residence, proof that he was a family member of the relevant person. (v)where the person claims to have a derivative right of entry or residence as a result of regulation 15A(4A), he is a direct relative or guardian of a British citizen. (4) A person may not bring an appeal under these Regulations on a ground certified under paragraph (5) or rely on such a ground in an appeal brought under these Regulations. (5) The Secretary of State or an immigration officer may certify a ground for the purposes of paragraph (4) if it has been considered in a previous appeal brought under these Regulations or under section 82(1) of the 2002 Act. (6) Except where an appeal lies to the Commission, an appeal under these Regulations lies to the First-tier Tribunal. (7) The provisions of or made under the 2002 Act referred to in Schedule 1 shall have effect for the purposes of an appeal under these Regulations to the First-tier Tribunal in accordance with that Schedule. (d) to remove him from the United Kingdom after he has entered the United Kingdom in breach of a deportation or exclusion order. (c) has made an asylum or human rights claim (or both), unless the Secretary of State has certified that the claim or claims is or are clearly unfounded. (3) Paragraph (1)(d) does not apply where the person has made an asylum or human rights claim (or both), unless the Secretary of State has certified that the claim or claims is or are clearly unfounded. (1) An appeal against an EEA decision lies to the Commission where paragraph (2) or (4) applies. (6) Where a certificate is issued under paragraph (2) or (4) in respect of a pending appeal to the First-tier Tribunal or Upper Tribunal the appeal shall lapse. 28A. (1) Section 97A(7) of the 2002 Act applies to an appeal against an EEA decision where the Secretary of State has certified under regulation 28(2) or (4) that the EEA decision was taken in the interests of national security. (1) This Regulation applies to appeals under these Regulations made to theFirst-tier Tribunal or Upper Tribunal. 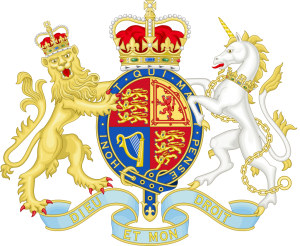 (2) If a person in the United Kingdom appeals against an EEA decision to refuse to admit him to the United Kingdom (other than a decision under regulation 19(1), (1A) or (1B)), any directions for his removal from the United Kingdom previously given by virtue of the refusal cease to have effect, except in so far as they have already been carried out, and no directions may be so given while the appeal is pending. (3) If a person in the United Kingdom appeals against an EEA decision to remove him from the United Kingdom (other than a decision under regulation 19(3)(b)), any directions given under section 10 of the 1999 Act or Schedule 3 to the 1971 Act for his removal from the United Kingdom are to have no effect, except in so far as they have already been carried out, while the appeal is pending. (4) But the provisions of Part I of Schedule 2, or as the case may be, Schedule 3 to the 1971 Act with respect to detention and persons liable to detention apply to a person appealing against a refusal to admit him or a decision to remove him as if there were in force directions for his removal from the United Kingdom, except that he may not be detained on board a ship or aircraft so as to compel him to leave the United Kingdom while the appeal is pending. (4A) In paragraph (4), the words “except that he” to the end do not apply to an EEA decision to which regulation 24AA applies. any period during which there is pending an appeal by him under is to be disregarded (except in cases where the EEA decision was taken pursuant to regulation 19(1), (1A), (1B) or (3)(b)). (6) If a person in the United Kingdom appeals against an EEA decision to remove him from the United Kingdom, a deportation order is not to be made against him under section 5 of the 1971 Act while the appeal is pending. (7) Paragraph 29 of Schedule 2 to the 1971 Act (grant of bail pending appeal) applies to a person who has an appeal pending under these Regulations as it applies to a person who has an appeal pending under section 82(1) of the 2002 Act. (d)P wants to make submissions before the First Tier Tribunal or Upper Tribunal in person. (2) P may apply to the Secretary of State for permission to be temporarily admitted (within the meaning of paragraphs 21 to 24 of Schedule 2 to the 1971 Act(3), as applied by this regulation) to the United Kingdom in order to make submissions in person. P may be removed from the United Kingdom pending the remaining stages of the redress procedure (but P may apply to return to the United Kingdom to make submissions in person during the remaining stages of the redress procedure in accordance with this regulation). (6) Where the Secretary of State grants P permission to be temporarily admitted to the United Kingdom under this regulation, upon such admission P is to be treated as if P were a person refused leave to enter under the 1971 Act for the purposes of paragraphs 8, 10, 10A, 11, 16 to 18 and 21 to 24 of Schedule 2(4) to the 1971 Act. (8) P will be deemed not to have been admitted to the United Kingdom during any time during which P is temporarily admitted pursuant to this regulation.